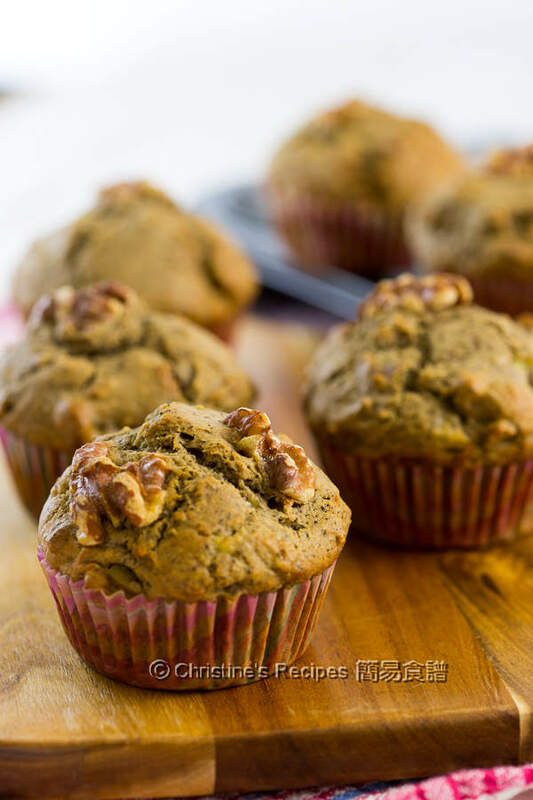 These banana walnut and coffee muffins are so fragrant and delicious. It’s best served when they’re still warm, perfect for tea time or breakfast. The texture is so soft and moist. 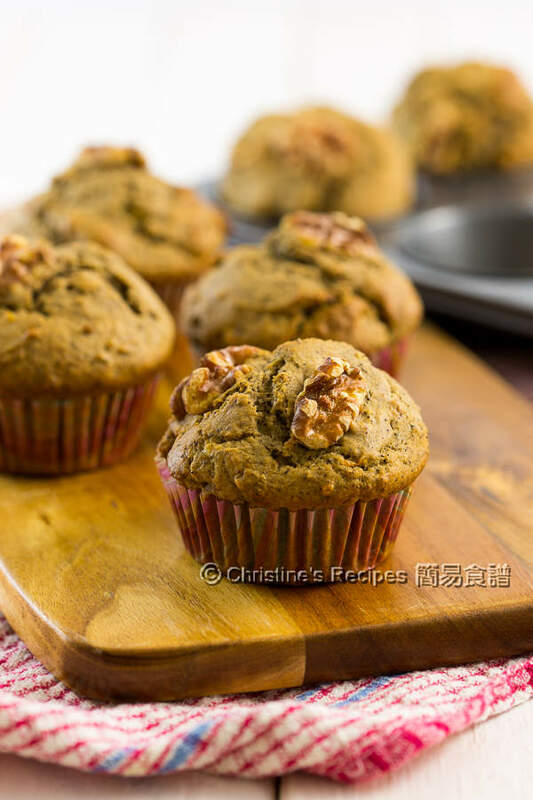 Are there any tips to make best soft and moist muffins? Sure, I’ll share what I tried that worked in my kitchen. The price of banana has been going down recently. Immediately I buy some back home. I deliberately leave some on my bench and patiently wait for them to become ripe. Yes, I crave for banana muffins. I totally love these soft and delicious banana muffins. The aroma of banana and coffee is blended so well and will make you want more. That said, walnuts are good for our brain. Give these muffins a go. No one likes tough or dry muffins. 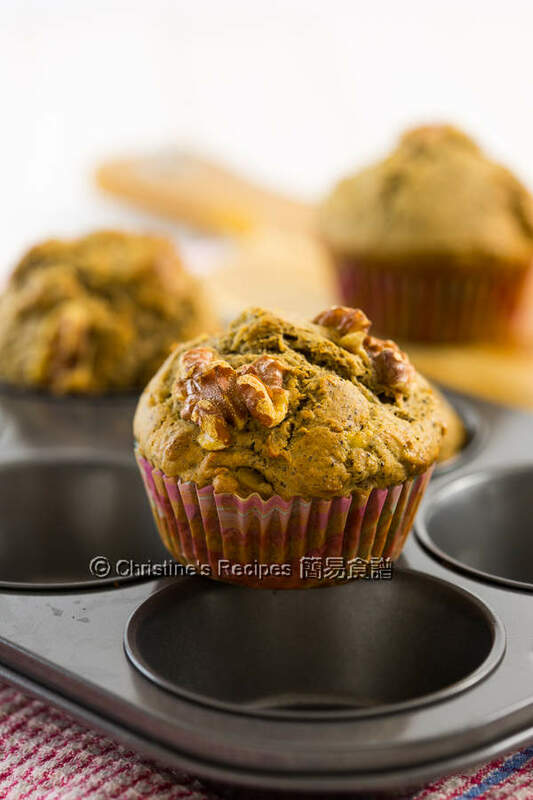 How to make muffins with the best texture, soft and moist muffins. Here are the tips and steps. To make mashed banana. Use a fork to mash banana. 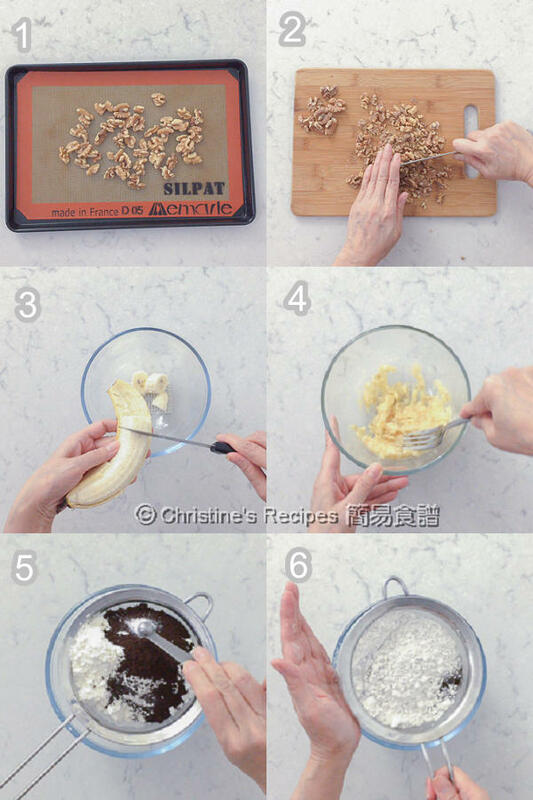 You don’t need to bother too much if there are little bits of banana texture as long as they are not too large. 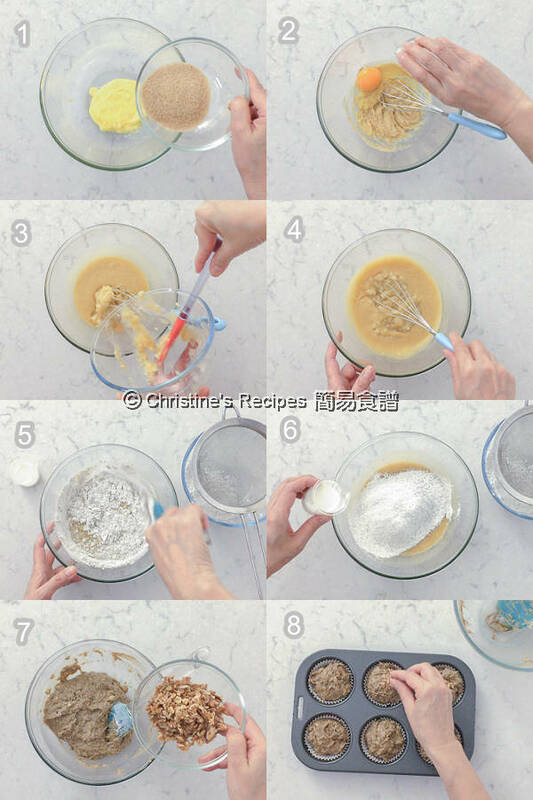 The little banana bits will spread evenly inside the batter and make your muffins even more moist and soft. Don't over mix the batter. This step is the most important. I recommend not to use an electric mixer. because it’s very easy to go over and get your batter over-mixed. Use a spatula or a large spoon to combine the ingredients by hand. Stop stirring once it’s incorporated without seeing any flour, as you don’t want gluten to be developed inside that will make your muffins tough. Incorporate flour and milk alternatively. If you alternatively add the flour mixture and the milk in two batches into the mashed banana, you'll find the combining process much easier and quicker. Don’t pour in all ingredients in one go. The amount of milk is just right. The moist in every banana is different. So take a look at the video below to see how the batter should like like. If you add enough milk into your batter, your muffins won’t turn dry easily. Even though I reheated the leftover muffins the next day, the muffin didn’t turn dry. We enjoyed two fresh-from-oven banana walnut & coffee muffins as afternoon tea. Others are reserved for the next day’s breakfast. Place the walnuts on a lined baking pan in one layer. Baked in a preheated oven at 150C / 300F, for 5 minutes. Remove from the oven. Let them cool down. Reserved 6 to 12 walnuts for garnish. Roughly chopped the rest. Set aside. Increase oven temperature to 170C / 340F. Use a fork or spoon to mash banana. Set aside. Sift cake flour, coffee flour, baking powder and salt. Mix well. Mix melted butter and sugar. Stir in egg. Mix well. Add mashed banana. Sift in the flour mixture in two batches. Pour in half of the milk between two additions. Lightly combine with a spatula. Beware not to over-mix. Lightly stir in the chopped walnuts into the batter. Put the whole walnuts on the surface for garnish. Bake in a preheated oven at 170C / 340F for 20 to 25 minutes. If a needle comes out clean, the muffins are cooked through. Remove from oven. Let cool in a wire rack. Serve while they are still warm. 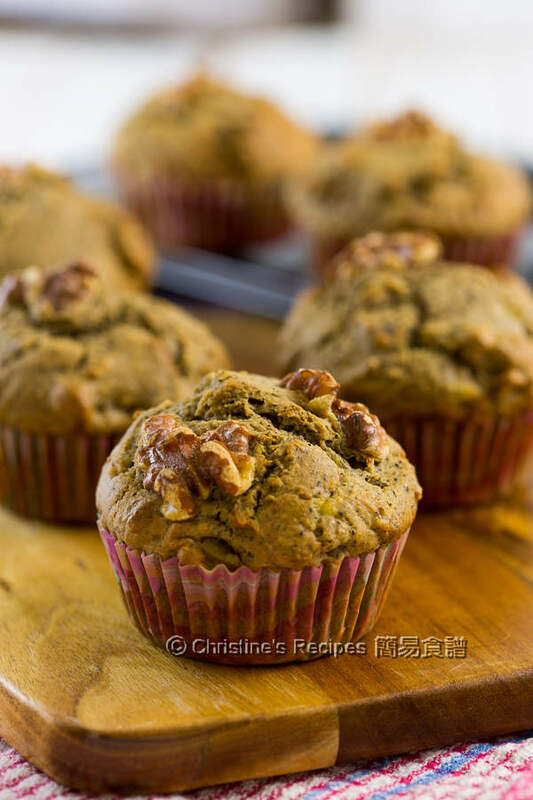 The leftover muffins can be kept in an air-tight container or plastic bags up to 3 days at room temperature or stored in the fridge for 5 to 7 days. Reheat in a low-temperature oven when you need. The taste is still very good. The amount of sugar can be adjusted depending on the sweetness of the banana you used. The riper your banana is, the sweeter it will be. You can use any brand of coffee powder you like. Yet use the one without any sugar added. I am a tea drinker, but seriously adore the baked goods with coffee aroma. These muffins look tender and yummy! Do you use instant coffee or ground coffee? Yeah, a hint of coffee aroma does the trick, Angie. Either instant coffee or ground coffee will work. Make sure that no sugar is added, and the coffee particles are small enough to be blended well with the flour.